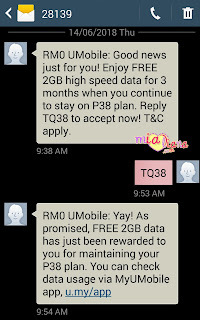 RM0 UMobile: Good news just for you! 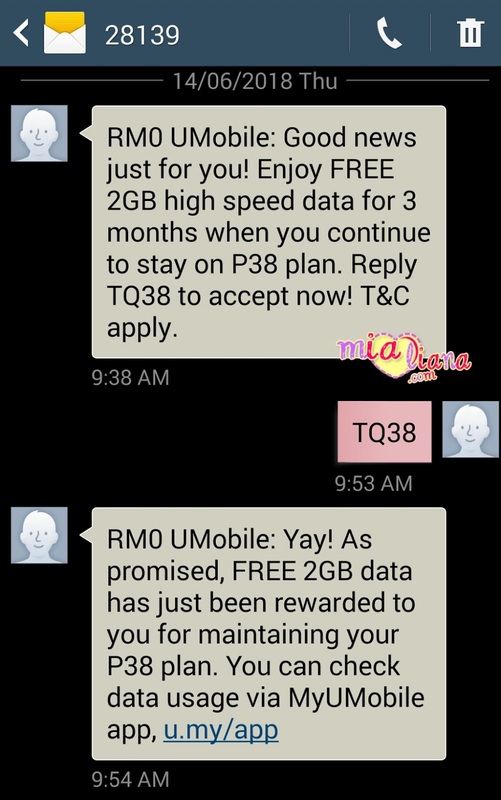 Enjoy FREE 2GB high speed data for 3 months when you continue to stay on P38 plan. 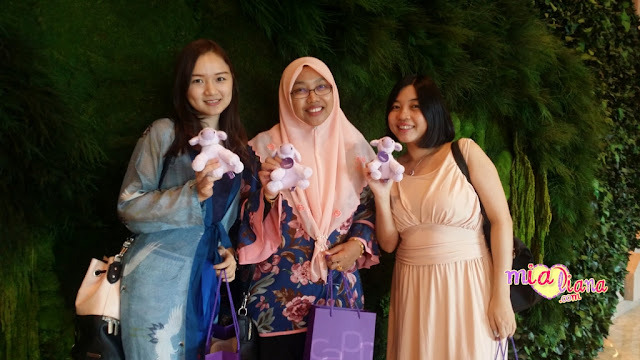 Reply TQ38 to accept now! T&C apply.